This thoughtful and meaningful tribute is a vibrant expression of faith. 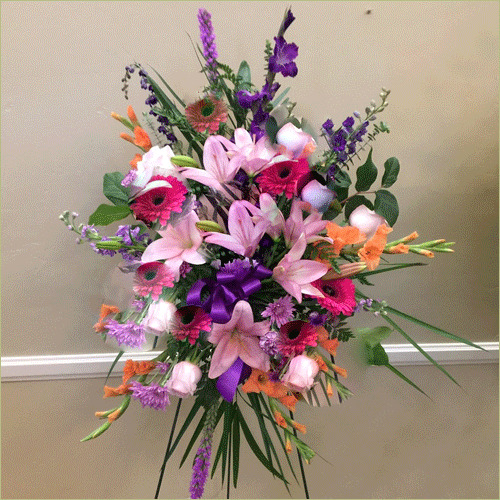 Deluxe display includes 25 stems. Premium display includes 30 stems.